Home / All TV Shows / Attack Of The Show! 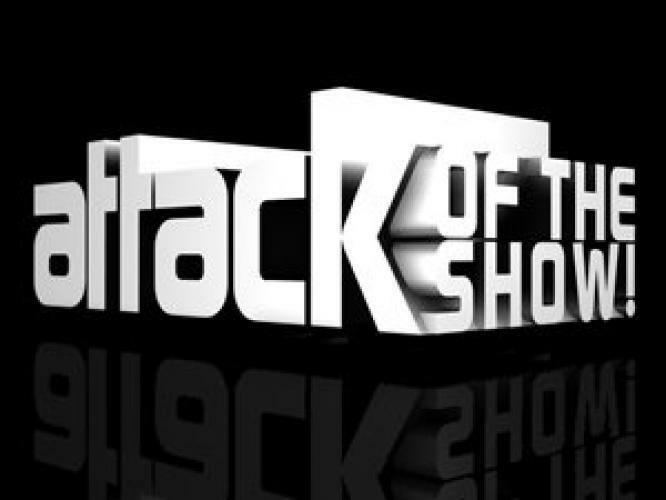 When will be Attack Of The Show! next episode air date? Is Attack Of The Show! renewed or cancelled? Where to countdown Attack Of The Show! air dates? Is Attack Of The Show! worth watching? Attack of the Show! is a live entertainment TV show shown weeknights on G4 in the United States and G4techTV in Canada. Hosted by Kevin Pereira and Olivia Munn, AOTS discusses the daily news as well as the latest trends in pop culture and technology. AOTS premiered on March 28, 2005 as the replacement for The Screen Savers which aired its final episode on March 18, 2005. The show was originally a discussion of video games, computers, things found on the internet (Dark Tips, E-bay gems, free games, and downloads), magazines, comic books, and movies. In 2006, the show got an overhaul in both it's format and look. New segments were added, as well as new correspondents and reporters geared more towards pop-culture and less geared towards computers. This new direction angered many tech-oriented fans while the network was attempting to broaden it's viewership to include more of the younger male audience. New segments focus on relationship advice, MySpace, and current events while older segments based on comic books, movies and video games still remain. EpisoDate.com is your TV show guide to Countdown Attack Of The Show! Episode Air Dates and to stay in touch with Attack Of The Show! next episode Air Date and your others favorite TV Shows. Add the shows you like to a "Watchlist" and let the site take it from there.